If you want to be more self sufficient, learning how to add fruit trees is a great step. It’ll provide food for your family, food for the bees, and even food for your backyard chickens. Fruit trees can also provide shade, making them a win-win on your homestead. When you want to add fruit trees, it isn’t hard at all. It just takes a bit of planning and foresight. The first thing to think about is space. Most fruit trees will need at least 15 feet of space between them. Some trees are not self fertile and need two trees. Make sure that the two trees are different varieties that bloom at the same time. That doesn’t necessarily mean you have to have two trees. If your neighbor has fruit trees then find out what kind he has, get a different variety and they can cross pollinate. This is a great way to grow fruit in an urban yard. If your neighbor has a golden delicious apple tree, try planting a honey crisp apple tree. You can always trade some of the fruit, too! Even though a fruit is self-fertile you will probably get more fruit if you have another variety to cross pollinate. When you first start to add fruit trees, it’s important to know what will grow in your area, not only what fruits but what varieties. This is where local nurseries or your extension agent will come in handy. After you make that list, decide what on the list you and your family actually likes. Just because pears grow great in your area, you shouldn’t plant them if no one in your family likes them. Next, prioritize that list by what you like most or by what is most expensive to purchase. Growing apples on your homestead? Learn how to preserve them here. 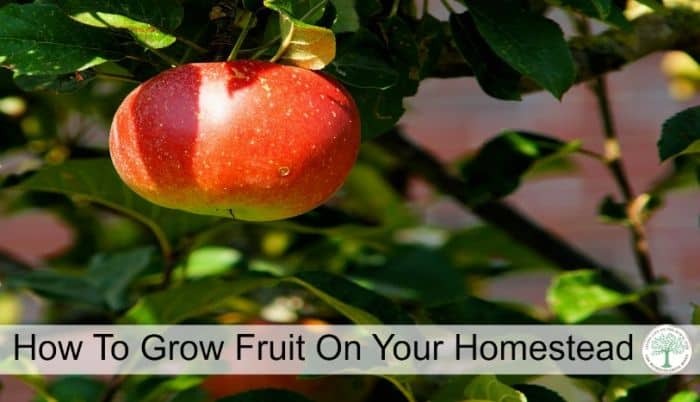 Once you decide what fruit trees to plant, you will want to get them planted. Most trees will come with bare roots, that will need to be carefully placed in the ground. dig a hole about 12-15 inches deep. This needs to cover the root base entirely, plus a bit of the growing trunk. Carefully set the tree in the hole, keeping it centered as you cover it with dirt. Add some high quality fertilizer, layering it with the dirt. Water at least 2-3 hours the first time, and daily for a week. Water only as necessary after. As for what is the best fertilizer for fruit trees, they will need grow best with organic, high nitrogen fertilizer, such as chicken manure. Compost will also provide nutrients for the trees to grow. Not all trees will need fertilizer each year and not all trees need the same amount each year. To determine the amount of fertilizer needed, first determine the growth from the previous year. Use this link to get more help determining the amount of growth that you should have and how much fertilizer you need. 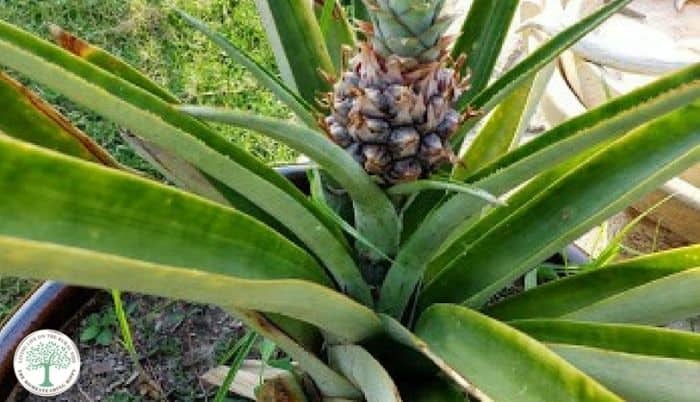 When should I feed my fruit trees? You will want to fertilize them about a month before the buds appear. You will want to avoid fertilizing late in summer, or new growth that comes may be damaged by frost. Most times, you can fertilize your fruit trees until June, but the earlier the start, the better. 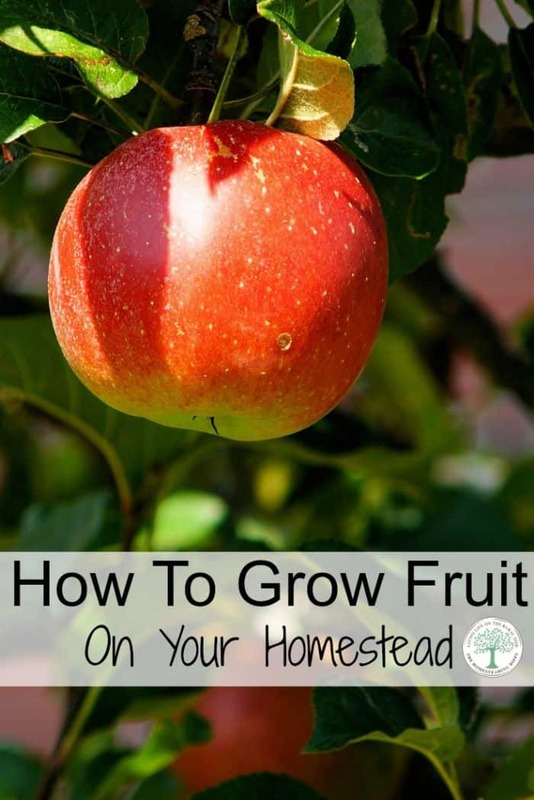 Are you read to add fruit trees on your homestead? What are you thinking of planting? Share in the comments!